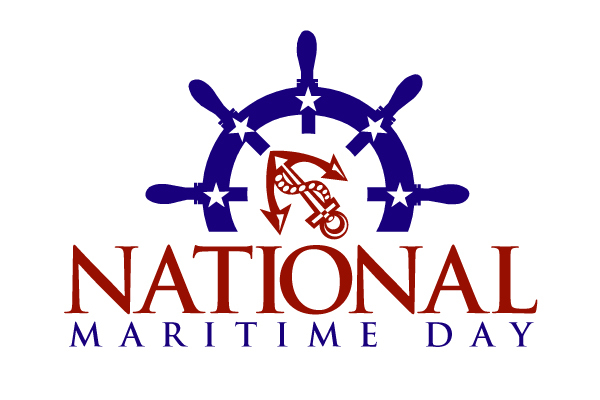 A little-known annual American commemoration is coming up again on Monday, May 22 . . . National Maritime Day. It was declared by Congress in 1933 to call attention to America’s proud maritime heritage and to honor the men and women who serve and have served as U.S. merchant mariners. It’s also a day to recognize and reflect on the rewards that America’s ports bring the country in terms of jobs, economic development, goods movement and international competitiveness. For the American Association of Port Authorities (AAPA)—the unified and recognized voice of seaports in the Americas—National Maritime Day offers the nation’s ports a great opportunity to showcase the value of their facilities, operations and personnel to their respective communities. In addition to supporting The Propeller Club Port of Washington, D.C.'s National Maritime Day reception on the evening of May 22, AAPA President and CEO Kurt Nagle will participate in the federal government’s commemorative program earlier that day when he joins U.S. Department of Transportation Maritime Administration Executive Director Joel Szabat at USDOT’s Washington, D.C., headquarters for the National Maritime Day and Wreath Laying Ceremony. “Nationwide,” said Mr. Nagle, “America’s seaports support 23.1 million jobs, annually generate more than $321 billion in federal, state and local taxes, account for over a quarter of the U.S. economy and handle more than 2.2 billion metric tons of international and domestic cargo. From these statistics alone, it’s clear that ports play a vital role in supporting our national economy, jobs, tax resources and their communities. Port of Baltimore will host its National Maritime Day Port Expo from 10:00 a.m. to 3:00 p.m. on Sunday, May 21, at Canton Pier 13, located at 4601 Newgate Avenue in Baltimore. The free event will feature visiting ships, tours of marine terminals and a display of Lego model vessels. Canaveral Port Authority, in conjunction with the Cape Canaveral Council of the U.S. Navy League, the Propeller Club of Port Canaveral, Military Sealift Command Space Coast Retirees, the Space Coast Chapter of the U.S. Merchant Marine Academy Alumni and the Canaveral Pilots Association is sponsoring the 16th Annual Port Canaveral Maritime Day Commemoration on Saturday, May 27 beginning at 10:00 a.m. at Fishlips Waterfront Bar & Grill. There will be a boat ride for a memorial wreath laying included with a luncheon. Port Everglades, in Broward County, Fla., is hosting its 7th Annual Keep Port Everglades Shipshape painting party on Saturday, May 20. Each year, Port Everglades invites volunteers of all ages and talents to participate in a community service project to transform recycled petroleum drums into decorative trash and recycling bins that will be used throughout the port. During the awards portion of the event, participants will learn about the positive economic impact Port Everglades has in the community and the important contributions that mariners make in international trade and cruise travel. Port of Galveston will celebrate 2017 National Maritime Day on May 22, beginning in the morning with an “All Things Maritime” mini expo event that will be attended by approximately 500 5th graders from the Galveston Independent School District. The students will tour several boats, including the Texas A&M TS General Rudder and the Baysmart Express, and will visit various sites along Pier 21 including the Texas Seaport Museum, the 1877 Tall Ship Elissa, and the Ocean Star Oil Rig museum. In the afternoon, a ceremony will take place to honor the generations of mariners who have served and sacrificed, followed by an invitation-only Maritime Mixer, co-sponsored by the Galveston Regional Chamber of Commerce and the Port of Galveston. Port of Port Arthur, in Texas, on May 22 will participate in sponsoring its community’s 31st annual National Maritime Day Observance and Memorial Service. This year, the event will recognize the 75th Anniversary of the German U-boat attacks against U.S. shipping in 1942, when 33 ships were sunk or damaged by German U-boats that were en route to or from the Golden Triangle. The event will recognize the six ships lost in action during May 1942: Munger T. Ball, Aurora, Gulfpenn, Gulfprince, Gulfoil, and Mercury Sun. In all, 64 U.S. merchant mariners and four armed guards were killed. Following the observance at the Seamen's Memorial Sundial, a U.S. Coast Guard color guard will lead the attendees to the seawall, where a wreath, sponsored by the Propeller Club of Ports of the Sabine, will be laid. The event will also honor retiring Captain of the Port, Captain Randall Ogrydziak, USCG, and Robert Hoffpauir, an agent for Biehl & Co., for their many years of service to the mariners that visit the docks of the Sabine Neches Waterway, and to the maritime industry. After that, participants will return to the Seafarers' Center, where the port will sponsor a barbecue lunch, prepared by the Knights of St. Peter Claver. During lunch, Capt. Michael Miller will make a presentation on the new opportunities in maritime training that is being offered at Lamar State College - Orange. Port of San Diego is hosting a month-long celebration in May titled “Maritime Month.” The series of events recognizes the industry’s role in job creation and economic prosperity and its commitment to education, training and environmental stewardship. Special events are planned for Maritime Month to give the public an upfront and personal opportunity to experience the working waterfront. Free public bus and boat tours will feature detailed narrative on the working waterfront including cargo operations, cruise facilities, shipyards, and associated vessels calling on the port. There will be two bus tours and four boat tours. Port Tampa Bay officials on Tuesday, May 23, will participate in a commemorative National Maritime Day dinner and water tour, organized and hosted by the Port of Tampa Propeller Club. The event will be held aboard the Yacht Starship, a dinner/cruise vessel moored at one of the port’s berths downtown. James “Hondo” Geurts, Acquisition Executive, Special Operations Research, Development Acquisition Center with United States Special Operations Command at MacDill AFB, FL, will be the featured speaker. 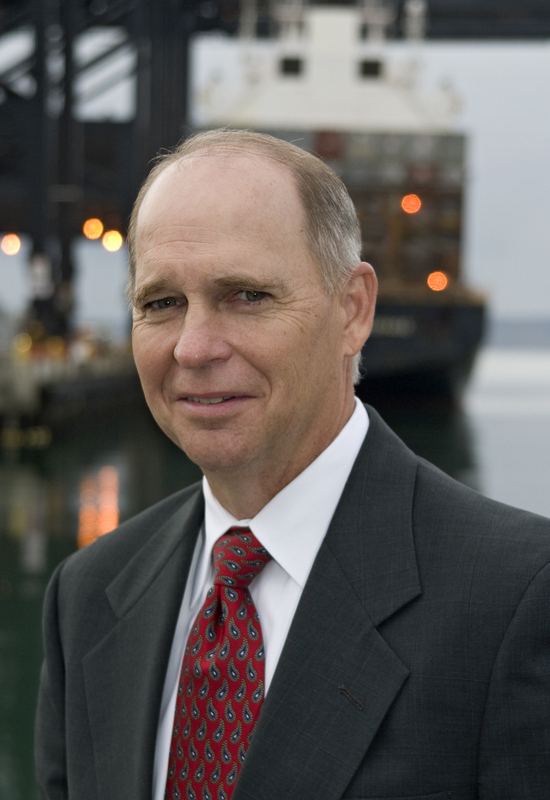 The Port of Virginia’s CEO and executive director, John F. Reinhart, will participate in a commemorative wreath-laying ceremony and brief reception afterward on May 22, sponsored by the Propeller Club of Norfolk at the Elizabeth River Pavilion & Deck, located behind Nauticus and the Half Moone Cruise and Celebration Center.